Since 2015 Kurt Barling has been the Professor of Journalism at Middlesex University London. 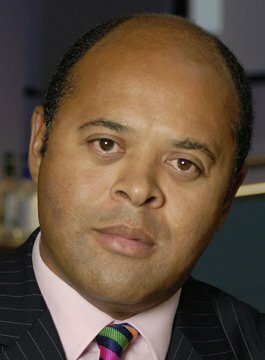 One of only 90 Black male Professors (out of 19,000) in the UK. He is a multi-award-winning investigative journalist and documentary-maker who built a reputation for incisive journalism as the BBC’s Special Correspondent in London, working on major investigations (sometimes undercover) into terrorism, child abuse in religious institutions, deaths in custody and modern child slavery. His groundbreaking investigations into the Lakanal Fire (2009-13) foreshadowed the work that has been done in the wake of the Grenfell Tower tragedy. He reported on over 2000 stories for the BBC. During a 26-year career Kurt worked in war zones, covered famines and natural disasters, reporting from dozens of countries worldwide, cheating death on at least one occasion. He has interviewed scores of senior politicians including Presidents and Ministers (including the only British interview with Francois Mitterrand), senior military and business figures as well as some of the most notorious criminals in recent British history. Kurt decided to become a journalist after getting caught up in the 1985 Broadwater Farm riots, on which subject he made an award-winning documentary for the BBC in 2005. He was responsible for the first BBC documentary made from the former East Germany after the fall of the Berlin Wall in November 1989 and then spent 25 years working across News and Current Affairs. Most notably he reported and produced for Assignment, The Money Programme, Today, Newsnight, Money Box, Black Britain and BBC News and BBC London News. Kurt Barling is the author and editor of 4 books including the latest Darkness over Germany published in Germany (2016), the UK (2017) and America (2018). He has twice been invited to present first editions of the German and English versions of this book to HM Queen Elizabeth. In 2015 he published the book described by the Times as an “eloquent polemic”, The R Word: Racism and in 2014 a revelatory book on the security services’ role in sheltering Abu Hamza from scrutiny in the early noughties, before Hamza was finally deported and convicted in New York in 2014 for terror related crimes. In July 2018 he was the script consultant on a new critically received play, End of the Pier, on comedy, identity and racism performed at the Park Theatre. He is a regular contributor to international TV and Radio News stations commenting on international affairs and equality, diversity and inclusion. Kurt gained a first-class degree in Languages and Politics (1984) before winning scholarships to earn a Masters degree (1985) and PhD (1989) from the London School of Economics and Sciences Po (Paris). He began his career as a lecturer in International Relations at LSE before moving into journalism at the BBC. He is fluent in French and German. Kurt’s current research work looks at the impact of Artificial Intelligence on the future of journalism and he sits on the advisory board of Silicon Valley start-up Knowherenews.com. Kurt has several years’ experience as a conference speaker and moderator and has given in excess of 100 public talks. Including several in the Houses of Parliament and with international activists like Rev Jesse Jackson, and public organisations like the Met Police and City business institutions like Ernst & Young. He is well respected as a judge on numerous Media Awards from the RTS, to BAFTA and the Press Gazette Awards.